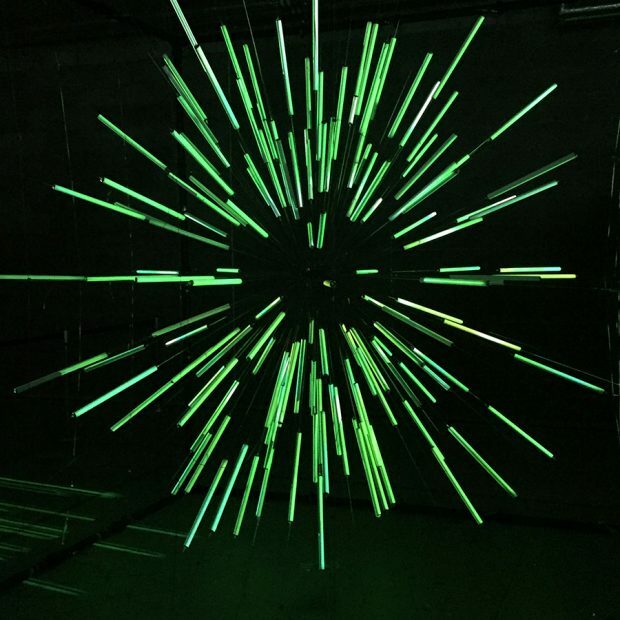 From the 16th to the 27th January, 30 immersive and interactive LED light installations were scattered throughout the bustling business hub of South London. 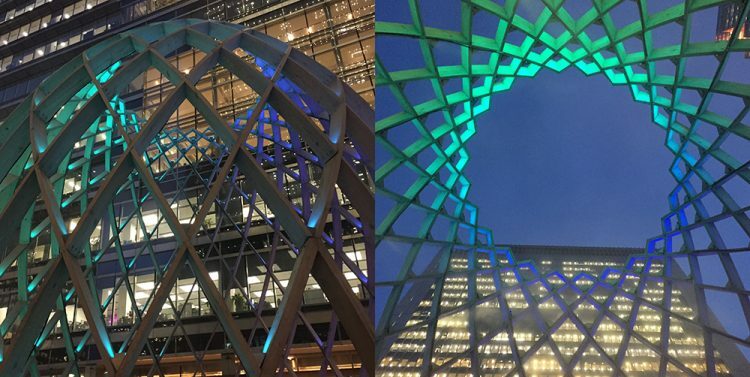 Innovative light designers and artists were involved, each using different forms of LED technology to bring light to Canary Wharf. Read on for some of our highlights from the event. 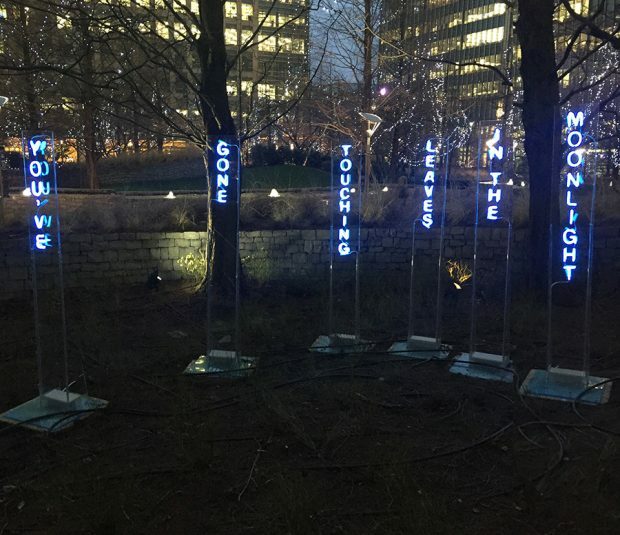 Hidden off the beaten track in Jubilee Park, six individual light installations are immersed amongst the trees, forming a short poem representing the effect of the installation. Angels of Freedom by Ove Collective / Merav Eitan and Gaston Zahr. Scattered throughout Jubilee Park are five luminescent angels. These interactive light installations allowed passersby to interact and become angels themselves. The middle of Montgomery Square features Ovo. This installation, made up of 24 crossed spirals, allows visitors to enter and immerse themselves in a haze of colour changing LED light. This interactive light installation responded to the users movement, changing the colour and pattern of the LED light stems through the use of their body’s naturally produced electricity. Lumen presents Passage by Bonjour Interactive Lab. This exciting light installation projects a pixel image of each visitor. 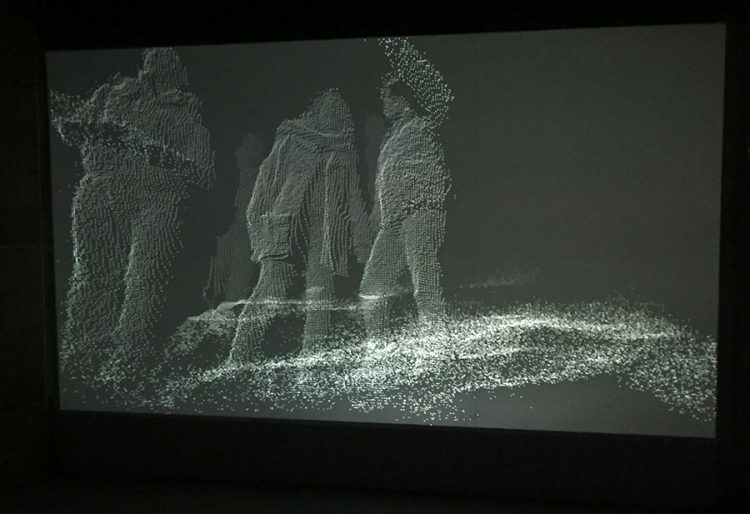 The room acts as a digital scanner capturing the data trail we leave behind us wherever we go. Cathedral of Mirrors by Mads Christensen and Quays Culture. 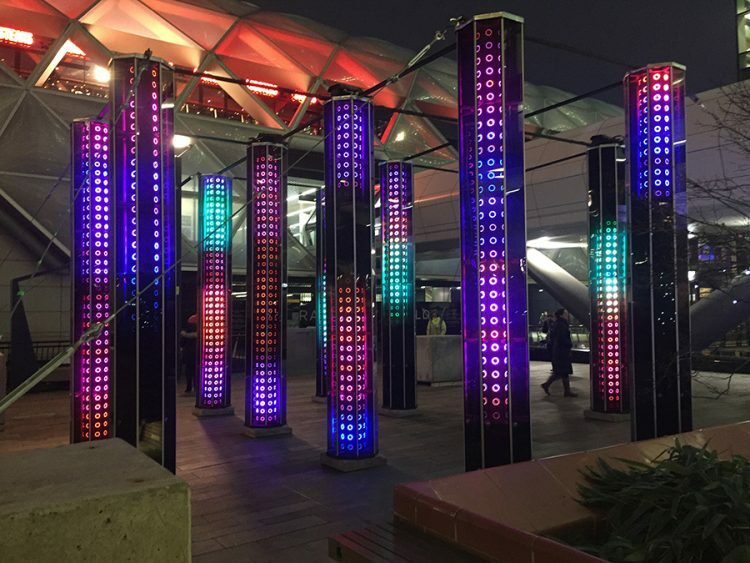 Featured in the centre of Adams Plaza, LED light pulses through each column, responding to passersby, guiding them through the plaza. 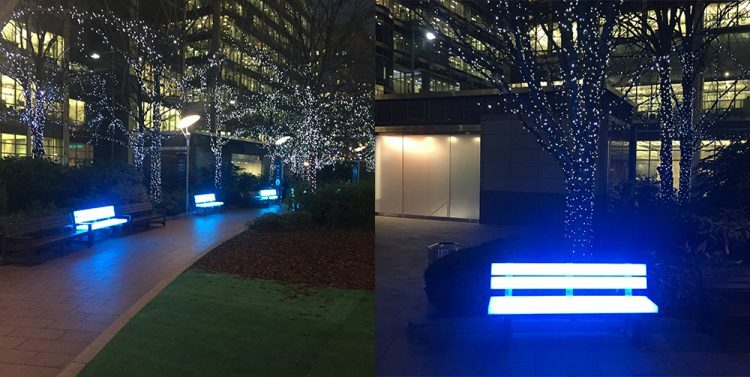 Leading the way through the stunning Canada Square Park are a series of ten illuminated benches, presenting a welcoming glow to those walking by.